A couple of weeks ago Scrum.org launched the Professional Scrum Master II training. 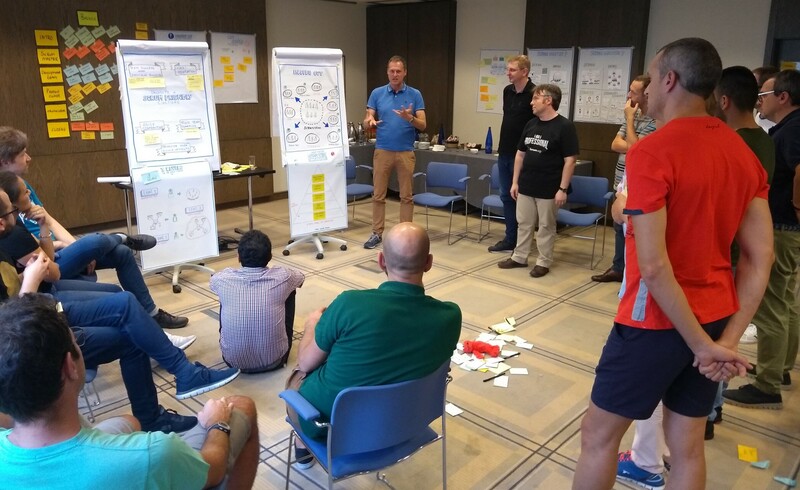 A 2-day advanced Scrum Master class designed to support Scrum Masters in their professional development. 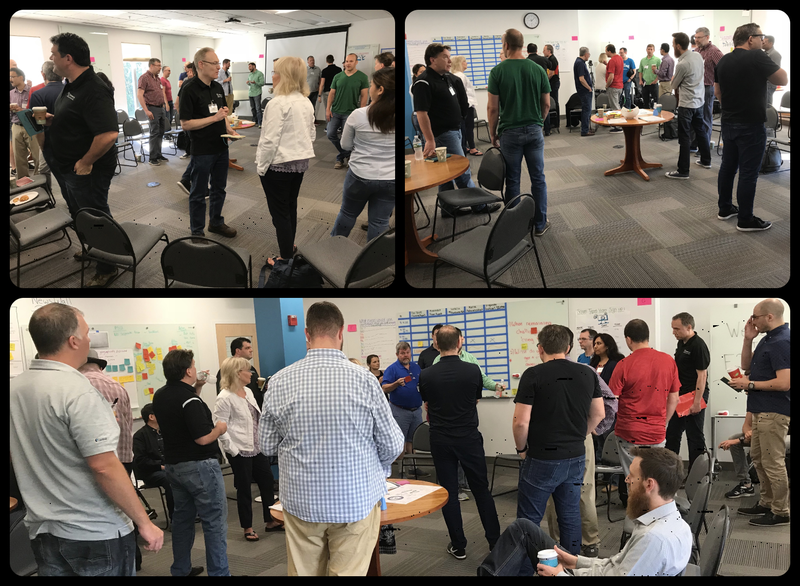 The PSM II class helps students to understand the stances that characterize an effective Scrum Master and servant-leader while diving deep into how they serve the Development Team, Product Owner and organization. The class teaches students about related practices and skills to enable them to have the right types of conversations and how to apply them to become better Scrum Masters. 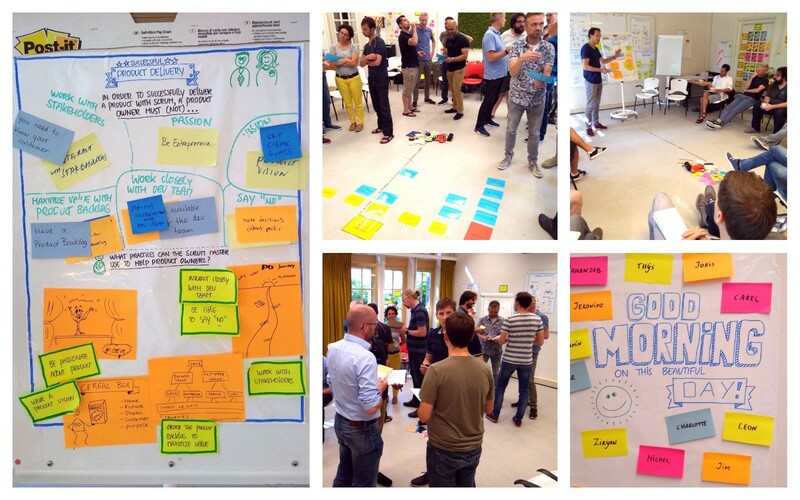 Two years ago Christiaan Verwijs and I started the process of creating this new training for Scrum Masters — obviously unaware that Scrum.org would acquire this training in the future. The article “The Making of …” describes the incredible journey we’ve had while creating and launching this class. These kind of trainings are a waste of time and set false expectations.They are a waste of time because students won’t learn much. Yes, lot’s of theory can be shared in 2 days. I’ve heard of trainings where it’s mandatory to show all the 250+ slides! This treats students as ‘empty boxes’ that need be filled up with as much theoretical stuff as possible. Students probably leave the training with the overwhelming feeling that they’ve learned a lot. But most of the theory won’t stick and will be forgotten a couple of days later. If the students don’t immediately apply the informations, they will remember very little of what they hear. Because listening doesn’t mean learning (Sharon L. Bowman). These trainings also set false expectations by creating the illusion that there are ‘best practices’ in a complex and unpredictable world, and that experts know more than people with local knowledge. It’s even stranger when this informs the design of a Scrum training. Shouldn’t Scrum be about self-organisation, experimentation and frequent inspection and adaptation? If trainers want students to learn these concepts, shouldn’t the training be about experiencing them first-hand? In previous years, we’ve been inspired by concepts and ideas that create a completely different learning experience. Ideas that do fit with the principles and values of Scrum. 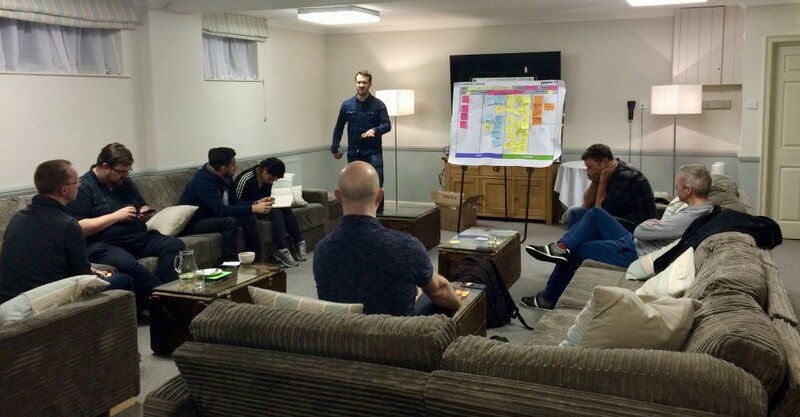 These ideas are Learning 3.0, Training From the Back of the Room and Liberating Structures. With Learning 3.0, you create an environment in which everyone can feel safe to collaborate and to share experiences in order to harness the power of our collective knowledge. Alexandre Magno describes this concept in his book “How Creative Workers Learn”. In learning 1.0 the expert defines the questions and answers. In learning 2.0 the learner defines questions, the expert provides the answer. In learning 3.0 the learner defines questions and answer. The motto here is “sharing is the new teaching”. It’s up to the trainer to create an environment where the participants are invited to share experiences and to create a learning space. Learning 3.0 is about emergent learning over prescriptive learning. The latter is based on knowledge and skills that are pre-determined for the learners — not based on their own needs. Learners are like the empty containers into which experts deposit knowledge. Emergent learning happens when it is self-organised. It arises in unpredictable environments from relationships among a number of people and resources within a context in which learners organise and determine to some extent both the process and the learning destinations. The whole idea is that learning is best done by people acquiring ideas from various sources, running experiments in their own context, and then sharing insights with their peers. It’s about creating your own knowledge, by gathering, experimenting, and sharing. Within the boundaries of a classroom, we’ve tried to enable emergent learning as much as possible. Mostly by promoting self-organization, peer-coaching & teaching and encouraging continuous personal reflection. The concept “Training from the Back of the Room” (TFBR) offers 65 ways to let students take center-stage as they discuss, questions, reflect, experiment, participate, present, practice, teach, and learn from each other. It uses the approach “when learners talk and teach, they learn”. By offering a simple, four-step instructional design and delivery process, the learners are continuously engaged and involved. The four steps are Connections, Concepts, Concrete Practice and Conclusion (the 4C’s). When introducing a new topic, enable students to make a connection with what they already know. Explain the concepts by using multisensory ways of hearing, seeing, discussing, writing, reflecting, imagining, participating and teaching it to others. Focus on concrete practiceby inviting the students to actively practice the new skills. Offer students the opportunity to summarize and draft conclusions of what they’ve learned, evaluate it, celebrate it, and create action plans for how they want to use the new knowledge and skills after the training is over. Most of the cases and exercises are originally designed with the 4C’s in mind. Over time this evolved in a natural flow by which the exercises are done. However in most exercises you will discover the connection, concept, concrete practice and conclusion. In the afternoon of the second day we provide the students with 4 posters about the Scrum Master as a change agent. We ask them to form small groups and pick one of the posters. In their groups they prepare a 2-minute ‘teaching moment’ about their poster. In this part of the training, the students should already get to message behind the visuals. Therefore teaching & explaining the takeaways upfront isn’t necessary. Having them explain it to you proves to be far more powerful. We avoid the traditional (and dreaded) round-circle introduction. At the start of the training we immediately break the ice with an ‘introduction carousel’. We distribute large post-its with questions across the room and invite them to walk around and have a conversation about the questions. Answers are written down and patterns are discussed afterwards. This exercise really sets the tone for the training and ensures everyone is engaged from the start! I will help others get the most out of this training by…. It’s a 100% PowerPoint free training. Everything is visualised with sheets on the walls. Therefore it makes sense to start day 2 with inspecting and refreshing the insights from yesterday by ‘walking-the-walls’. This is done in pairs and again we encourage them to explain the concepts to each other. This is a short, lightweight exercise that offers students a chance for reflection. Pair up and discuss each other’s insights. Individually write the 1–2-tweet cards. Gather the cards, put them on the wall and optionally discuss some patterns. Liberating Structures are grounded in complexity science and based on an expansive set of principles and ideas. By using these elements structures are created that promotes self-organization, emergent learning and ensures highly engaged students. To make this all more tangible we’ll share some examples of how we use Liberating Structures in the PSM II class. Impromptu Networking to have students reflect on the Scrum Master role and how to make the transition towards a Professional Scrum Master according to the preferred stances. Troika Consulting to help people give and get help regarding personal challenges they face as Scrum Masters. The result is a PSM II class that is all about facilitating as a Scrum Master, experiencing servant-leadership and practicing what we preach. This means creating transparency where it matters and building on the knowledge that is already in the group. We’ve moved away from a theory- or ‘best practice’-driven approach. Rather than “sending information” and acting as “experts”, we opted for a style that is best described as “assisted discovery of local solutions”. 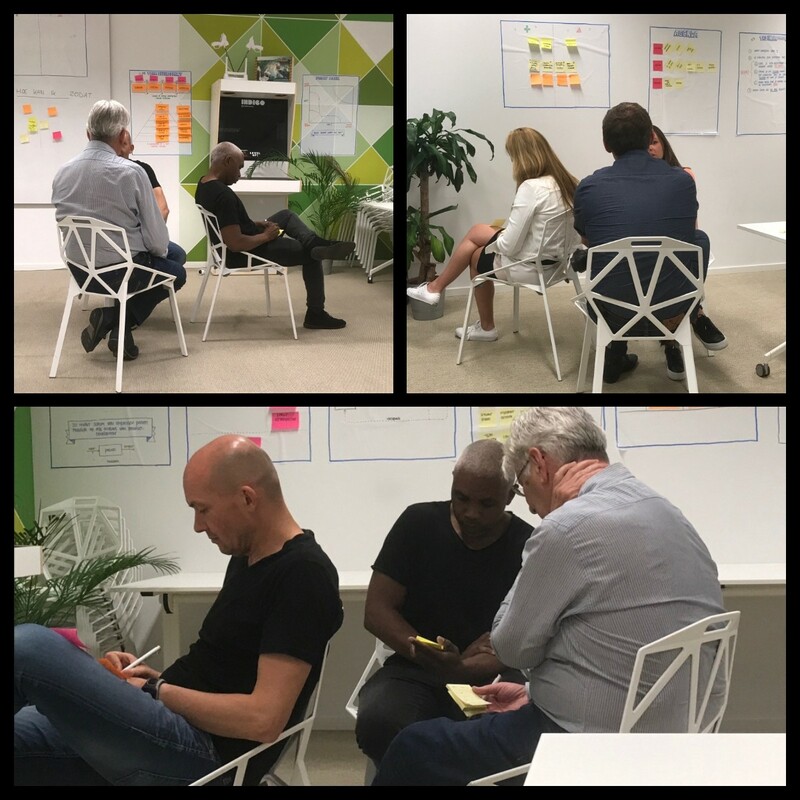 Using the Learning 3.0 mindset, Training From the Back of the Room principles and practices and the Liberating Structures we’re building and structuring what the group already knows. This proves to create a far better learning experience. As a Scrum Master, you can use every exercise within your own team and organization! If you’re a Scrum Master or Agile Coach with about a year (or more) of experience under your belt, go and explore this new class. 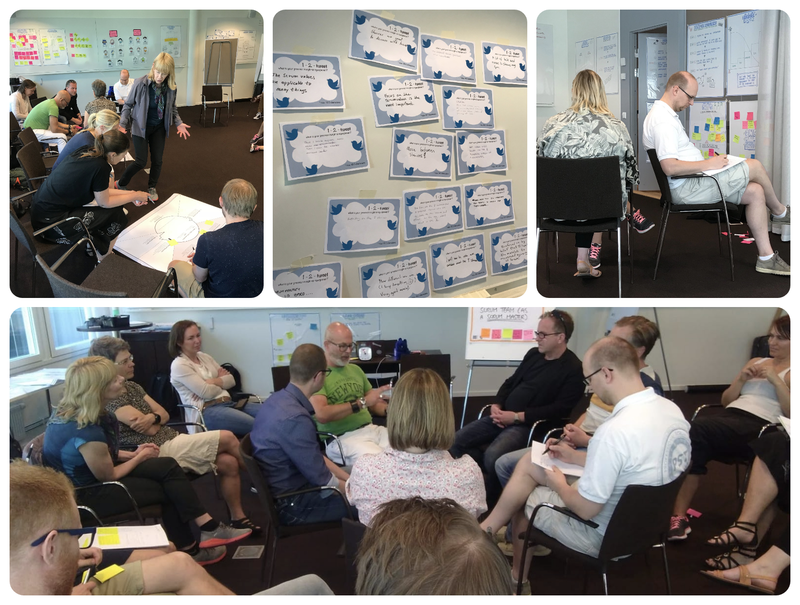 Find a trainer to your liking or in your area, and deepen and expand your understanding of Scrum. And let us know what you think. What did you like? What can be improved? Let’s work together to spread Professional Scrum and make a dent in the universe together. 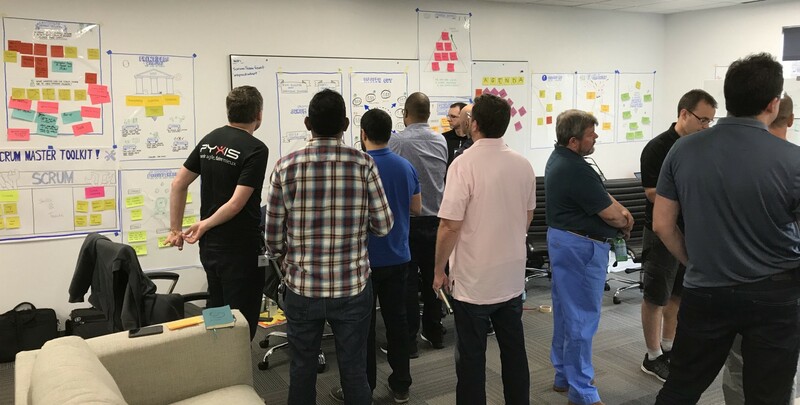 If you’d like to experience the all-new Professional Scrum Master II-class, go to Scrum.org to find a class in your area. If you’d like to participate in one of our classes, check out our Eventbrite-page for more information or inquire for an in-house class.